You can adjust the brightness of the LCD monitor to one of five levels. left, turn the <5> dial to adjust. 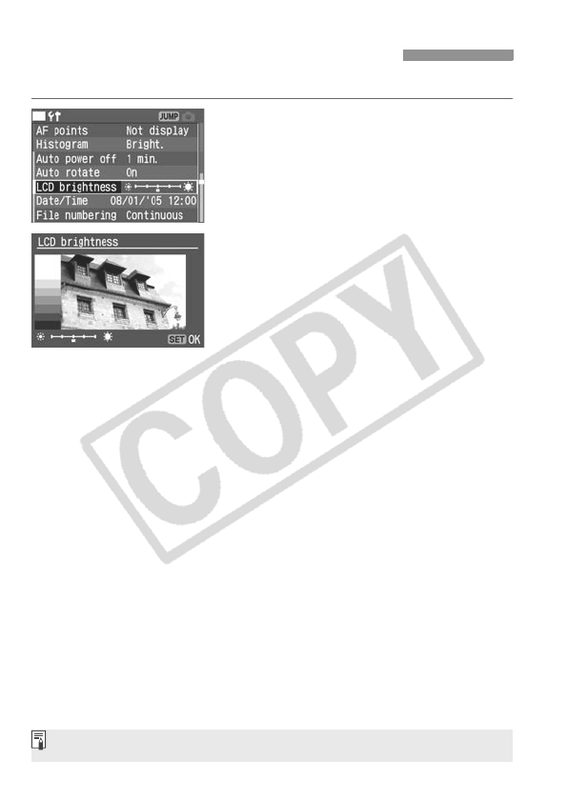 To check the image’s exposure, look at the histogram (p.109).